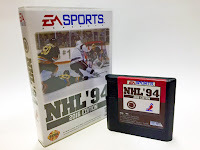 Radd Repro: Retro ROMhacked Reproductions: NHL '94 with current rosters? What's that? You wish you could play NHL '94 with current rosters? Okay go ahead!